Fly to Water doesn't sell any fly fishing gear or offer commission-based links to companies that do. When I write about equipment it's usually due either to reader inquiries or impressions I personally want to share. Sites like MidCurrent do a fantastic job of emerging product coverage, including videos and a plethora of initial thoughts. My reviews are based on long-term use as an angler. In the case of the Sage 6080, I've been using the reel for 2 years. Some of the species that have tugged on the drag include tarpon, snook, jack, tiger musky, bonefish, largemouth bass, and trout. Living with a piece of gear for this amount of time tends to shed light on factors that might not be as readily apparent once the newness wears off. What stands out about the 6000 series? First and foremost is the spool release mechanism - there is nothing on the market quite like what Sage has accomplished here. Depending on what kind of fishing you do, it may or may not be necessary to frequently change spools. In my case, I change spools a lot. During much of the year, the switcheroo is happening when it's cold enough to freeze the balls off a brass monkey. Certain reel designs can range from slightly inconvenient to REQUIRING the use of galloping profanity in such conditions. Not so with the 6000-series. Nothing could be easier under any scenario, with or without gloves, than the effortless locking system of Sage's flagship reel. Originally I suspected the system was so simple to use that over time it might result in premature despoolization (PD), or an unwanted release. To date this has never happened. The alignment needs to be so visually precise to free the spool that it's highly unlikely to occur by accident. In my opinion this is the best retention system on the reel market - the spool can be removed or replaced with a 1/3 turn of the lock. The drag is a heavy duty affair utilizing carbon and stainless steel disks in a fully sealed cassette. It's very strong, and dissipates heat efficiently. Yes, it will stand up to the full range of big game you might chase with 8-12 weight rods (available models are 6080, 6010, 6012). Well, the 6080 delivers on all points. In higher stress applications it's sometimes useful to actually test the breaking point of your leader/tippet combination. The bigger the game, the more important it becomes to have the ability to confidently set your drag, and know that 5 = 5 every time. You may even have multiple spools that are rigged differently, requiring discreet tension levels. While certainly not laboratory quality I've used a scale accurate to 1/100 of a pound to test multiple copies of the 6080, and found the drag settings to be very repeatable. If you are a guide/outfitter and want several clients to be using equivalent rigging, this is a highly desirable feature. An associate of mine who regularly takes clients to Cabo for inshore species has gone exclusively with 6000-series reels based primarily on the drag system's combination of high performance and reliable/repeatable numbered settings. Switching from left-hand to right-hand retrieve is easy and involves inverting the clutch bearing inside the cassette. This is done with no tools and instructions are included with the reel. The frame is light weight and rigid. Sage does a good job of going with a minimalist design that still results in plenty of bracing. On the subject of visual impact, there is an attractive symmetry to the reel. 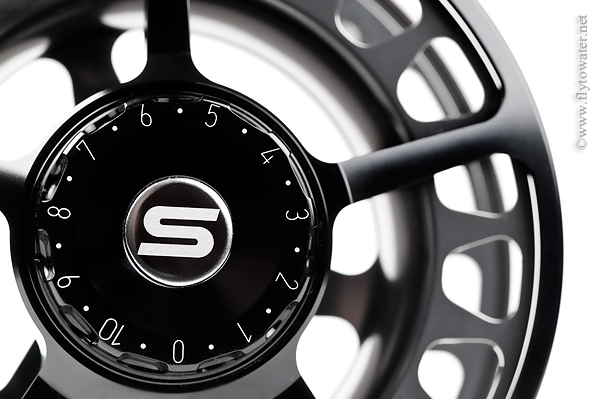 Five spokes out back create identically-shaped voids, and in the front there is balance between the 3-spoke spool and triangular spool release. So what could Sage improve here? My main suggestion would be to offer a 6060. As someone who fishes a lot of stillwater, there are constantly 4 or 5 lines in my kit. 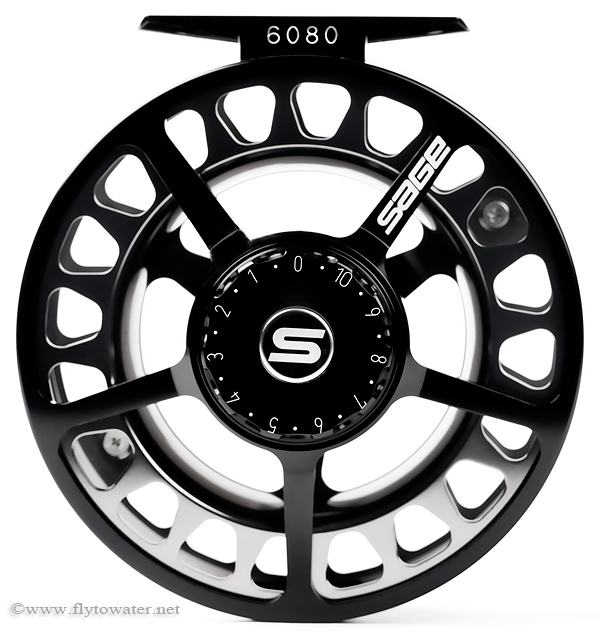 Swapping spools this easily is so convenient that I've been known to fish the 6080 on my 7-weight. In a slightly smaller size, I'd prefer the 6000's design to the O-ring release system of many other reels - including Sage's own 4500 lineup. 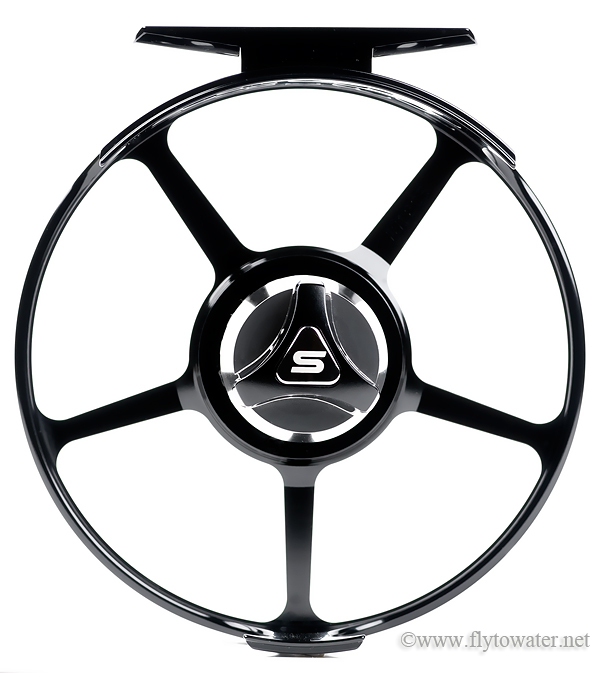 I also feel that many anglers personalize their rig via the reel. Rods have a tendency to look very similar from anything but a short distance away. Distinctive/individual appearance is something many customers look for, and I'd like to see more variety in the selection of finishes. Even a black-on-black 6000 would be welcome. 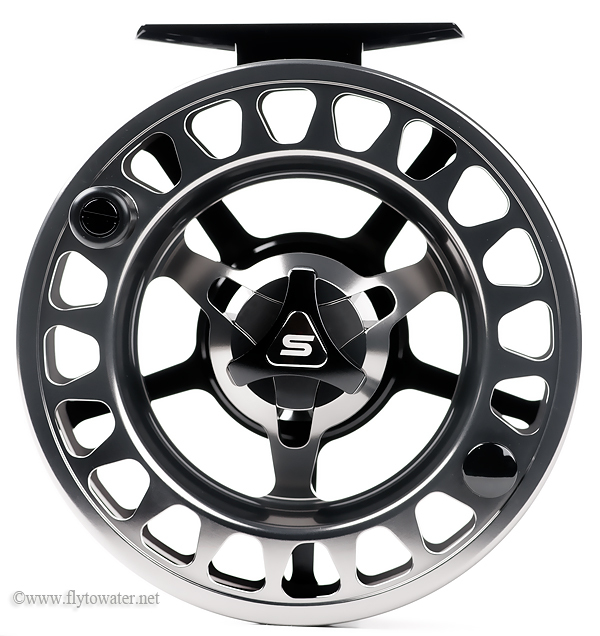 Get a 6000-series from your local Sage dealer, or visit the crew at Stillwater Fly Shop. Tom and his staff offer incredible customer service, a free fly line with your 6000, and free shipping. They also have a video review HERE.